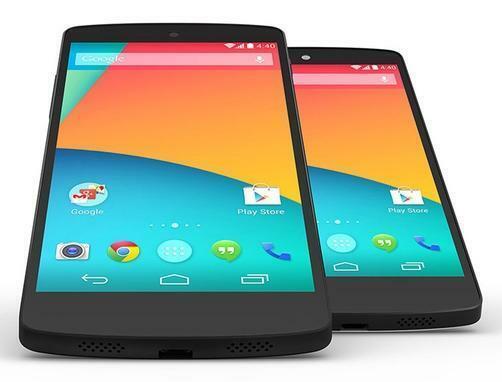 You are here: Home > Android 4.4.3 coming to Nexus 5 and Nexus 7 today? Android version 4.4.3, looks set to arrive on the Nexus 5 and last year’s version of the Nexus 7 today. At least, it is if T-Mobile software support documents are to be taken notice of. Sadly, there’s nothing more specific than “security enhancements” and “various bug fixes” mentioned in the post when it comes to features. Not exactly exciting, but it would seem to agree with previous leaks which suggest 4.4.3 will be nothing more than a bug-fixing update. We certainly wouldn’t expect a major software revamp this close to Google I/O. If you have a Nexus 5 or Nexus 7 on T-Mobile, you’ll be prompted to download the new software update anytime from today through June 9th. Of course, you can try updating manually by going through the usual Settings menu options and checking for updates that way. If you do, be sure to let us know what changes you notice. No Nexus 4 love yet? Does this update apply only to those who bought them through TMUS or also to those bought directly from Google? long as they roll out that fix for the damned google play services battery drain to everything else that uses it! a month ago you reported that it was going to be released real soon? I don’t understand how a flagship phone on T-Mobile is so slow to get updated? Random reboots fix i hope. Nothing yet on mine. Does this include the GPE Nexus 5? Nothing yet on mine. Does this include the GPE Nexus 5? Havent had any issues what so ever with my device, so I welcome any bug fixes I haven’t noticed yet lol. …Google Play Edition Nexus 5. There’s not really such a thing as a GPE Nexus 5. Except ‘Google Play Edition’ is really reserved for phones that aren’t a Nexus. T-Mobile just happens to sell the Nexus 5. What bloatware are you talking about? My last comment last night was moderated and removed probably because I posted the external link to the file on Google developers site. But it is released there and does work , the main visual difference is a new dialer card. I installed it on my device all up to date with 4.4.3 . Received Ota at 330 cst on June 4th. Quick install. Can’t say that I notice much. Dialer looks a bit different.. Texting, surfing, camera all seem to be working like before. I read that this release has over 7000 bug fixes. Got the update on my wife’s N4 today there seems to be a battery drain now. Phone sat unused for an hour and dropped 15%. Anyone else see this? Haven’t received the updated yet on my Nexus-7 in Baltimore/DC area. Tried the manual thing but nothing yet.